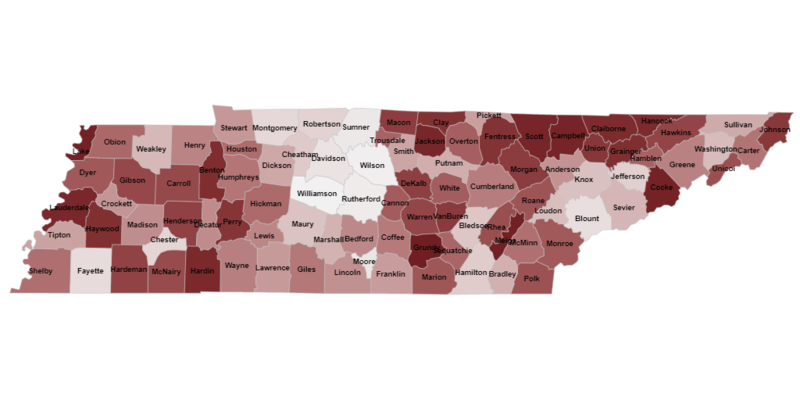 An interactive map to explore how certain health measures vary across the state. Full profiles for each county (in the form of 3-page PDFs) that show how health outcomes and factors that drive them compare with other counties, Tennessee as a whole, and the U.S.
To better understand what influences the health of Tennesseans, we must consider people’s lives in a larger context. Check out your county’s Health Profile now!